A resident of Palm Beach County since 1981, Vicki began her career at the South Florida Fair in March, 1985. Through the years, her job responsibilities have continued to expand and she is now Vice President and Chief Operating Officer. 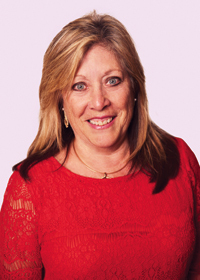 She earned her Certified Fair Executive designation in 1996 and is a recent graduate of the International Association of Fairs and Expositions Institute of Fair Management. She serves as Chair of the Industry Relations Committee of the International Fair Association. Vicki is actively involved in the community in which she lives. She is Immediate Past Chair of Discover the Palm Beaches. She has served as Chair of the Palm Beach State College Foundation, the Florida Federation of Fairs and the Florida Festivals and Events Association, organizations where she still remains active. She is a graduate and an active member of Leadership Palm Beach County and serves on the advisory boards of Quantum House and St. Mary's Hospital. Vicki is a double alum of Palm Beach Atlantic University and she has served on their Alumni Board since 2013. Vicki was inducted into the Florida Federation of Fairs Hall of Fame in 2011. She has also been honored as the recipient of the Athena award from the Chamber of Commerce of the Palm Beaches and was named as a Distinguished Alumni for Palm Beach Atlantic University. Vicki and her husband Toby Notman have been married for 18 years.